Looking to buy a rv? RVParkStore.com has 760 rvs near Ontario. Great couples trailer! Walk around queen bed, cozy dinette for two, weighs 2,800 lbs and is only 22' long. Great couples get away trailer!! 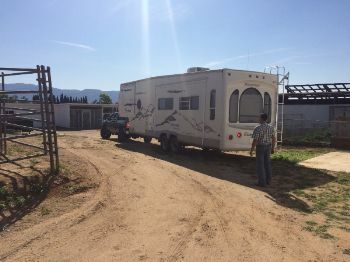 Weighs 2,100 lbs and you can take it anywhere.It has an awning, A/C, heat, nice kitchen, full bathroom and tons of storage. 3 POP OUTS!! SLEEPS 8 - ONLY WEIGHS 3,110 LBS!!! 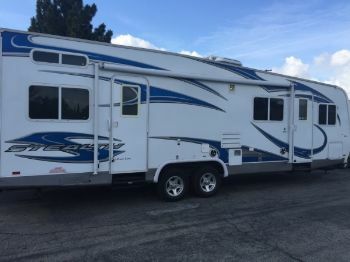 !Fully loaded HYBRID travel trailer under 3,500lbs and can sleep 8 with a full kitchen and bathroom.Take the whole family and all their friends!!! The New Spree CONNECT! 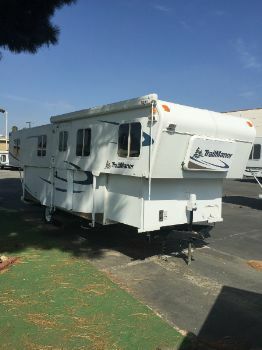 !Fully loaded with power awning, 15,000 BTU A/C, Aluminum wheels, Mattress upgrade, Power tongue jack & 32" TV.Rear Bunks with bike storage door, deep dinette slide and walk around queen bed. All of this for under 5,000 lbs! 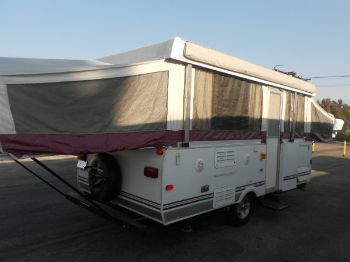 2007 Tent Trailer - good condition - sleeps 6 with pop out. 17 Foot Toy Box that weighs less than 2500lbs empty. Great for a quad or two bike. Sofas fold down to one very large bed. Full bathroom with shower, nice kitchen, big fridge and A/C and heat!